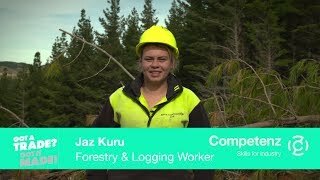 Congratulations to Competenz apprentice, Myra Anderson of printing.com being named as PrintNZ Apprentice of the Year 2017 that was held at Christchurch’s Air Force Museum to recognise the outstanding individuals and companies from the print industry. Speaking of being one of the biggest winners of the night, Myra is over the moon with her win. She also thanked her chief executive Symon Yendoll for “passing on his wisdom” and the printing.com team for their overall support, Ms Anderson says she enjoyed the stimulation and challenges provided by the apprenticeship process. “It’s so incredible.They have put on such a show, and it has filled me with such pride for the industry,” says Ms Anderson. It was a night to remember for the young apprentice whose passion for her trade and industry is hard to conceal. Chief executive and long-term supporter of apprenticeships, Symon Yendoll of printing.com say he was confident that Ms Anderson would be named this year’s winner. Soar Print Group took home the coveted Training Company of the Year award. Chris Agius, General manager and director of Soar Print Group, says it is a great endorsement as his firm continues on its objective of being a leader in sustainability, technology and innovation. “To do that you need to have the best-skilled staff and to have the best-skilled staff you have to train everyone from your apprentices, assistants to bindery hands,” he says. 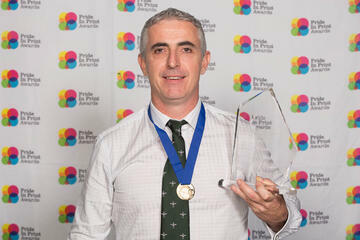 Last but not least, a very important award of the night, Trainer of the Year went to PMP Print print manager Tony Reid. Mr Reid has been in the industry for 22 years and a trainer for 12 years. He describes apprentices as the “lifeblood of the print industry”.